The stepper motors should be use if more precise movement is needed. 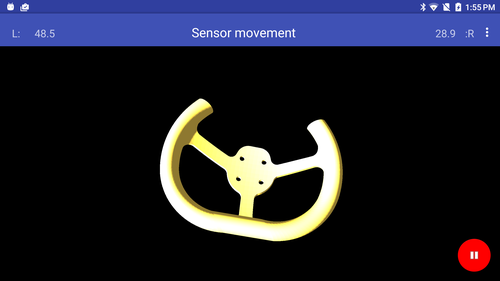 Utilizing phone's sensors, commands for robot's axis movement are calculated and transmitted to robot. The steering wheel visualizes the values of commands. Bluetooth as interface between phone and robot. 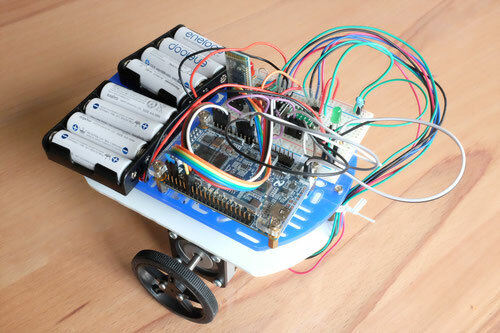 The robot's movement is controlled with velocity commands for every robot's axis. Altera C4 evaluation board with bluetooth interface controlling stepper motors. Without their work, Arobot would be much harder to develop.